Miller & Miller plans to install message boards on Monday, Feb. 18, to give the public advanced notice. Shoals Electric plans to put the Lindsay Lane/Alabama 251 intersection into flash mode on Monday, Feb. 25. 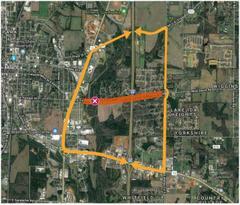 The Lindsay Lane/Alabama 251 intersection will go live the morning of Monday, March 4, after morning school traffic. Forrest Street will close Monday, March 4, and remain closed throughout the project. It is anticipated, weather permitting, the street will reopen in the summer of 2020.